You mean I'm actually first ex aequo with everyone? WEEEEHAA !! I think we all deserved our slap on the back ! This fuels me up to finish my August entry in the first half of September ! It is still July, right? 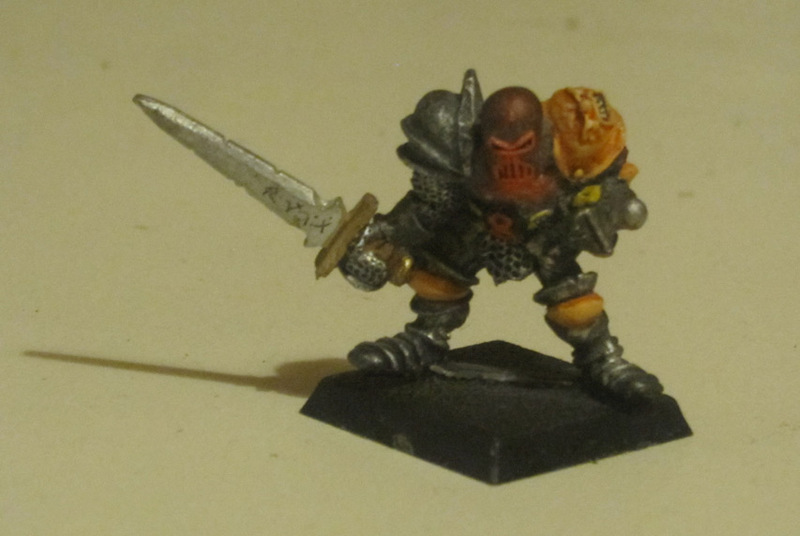 Having totally failed at the challenge, and then realising I was able to go to Bring Out Your Lead after all, I needed to get my warband painted in a hurry. 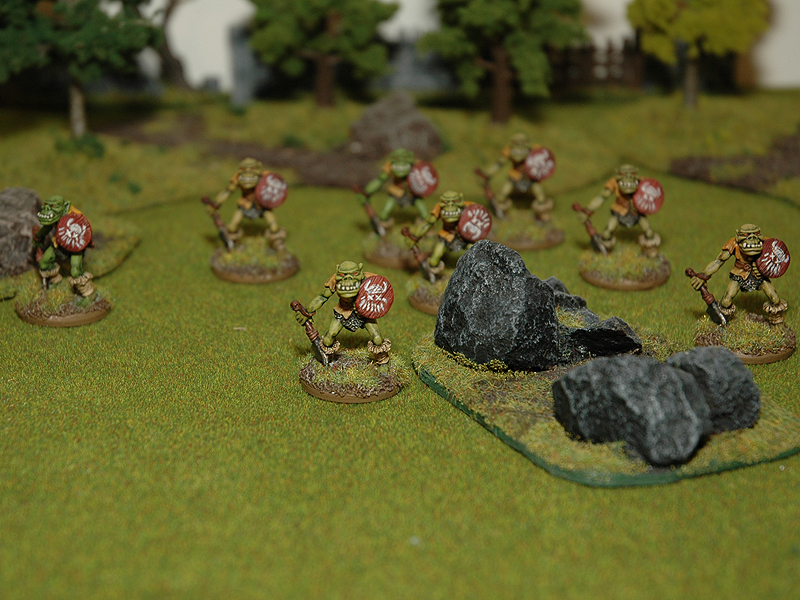 I also dropped the goblins (which were to have been part of a second warband, but their day will come when I get into O&G painting mode). I'm also not totally happy with the way the bases turn out, they need some more ground clutter, but who knows how long it will be before I revisit that. Well done - the most important thing is to get painting and as with all things practice makes perfect. It might e a bit late to enter Augusts Challenge at this point so maybe prepare something for the next one. Hope you had a good time at Foundry. Really like the Marauder & dwarf, especially the before and after I'm having similar problems with fur - I've found one good combination but having difficulty getting a second one. Thanks WP, and thanks to you and your decadent allies for a a great game, well worth the sleep I lost getting the painting done in time! Congrats everyone on finishing their challenges! I'm just shamefacedly shuffling in to say the Norse still aren't done! Eight orcs done, two more lads to go + command (mostly done though). I'll finish them for Orctober. If you don't finish this challenge soon you'll be accused of threadomancy Well done on finishing the 8 of them. I'm looking forward to seeing the musician. Thanks guys. =) Thants, it's good to be back! I even have some more models that I've painted (for HQ last weekend).